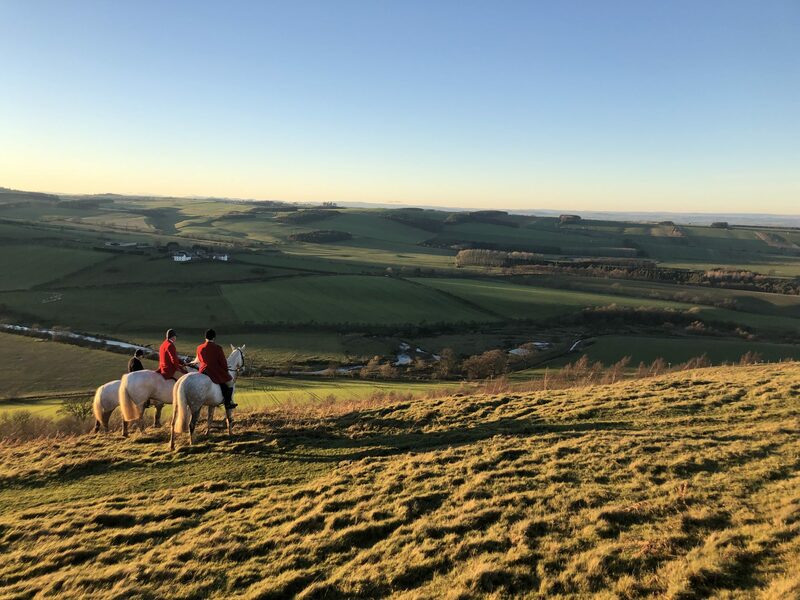 The North Northumberland Hunt Supporters’ Curry Supper with Guest Speaker, Colin Matheson – “Tales From The College Valley”. SADLY THE POINT TO POINT HAS HAD TO BE CANCELLED DUE TO A WATERLOGGED COURSE. OUR APOLOGIES TO ALL. This year’s point-to-point will be held at Ratcheugh, Alnwick on 5th March 2017. Point-to-Point racing takes place because an army of volunteers attend on the day to assist in so many different ways. A successful meeting depends entirely on attendance and sponsorship. Anyone wishing to be involved or interested in sponsorship should contact Simon Orpwood on 01890 850266/e-mail s.orpwood@farmline.com . More information on point-to-pointing can be found on the official website www.pointtopoint.co.uk. Start 9.30am, classes for all ages, rosettes to 6th place, with refreshments and toilets. Entries close Wednesday 19th April. The schedule is available by clicking the following button Invalid download ID. Classes for all ages including Pairs. Refreshments and loos on site. Entries close Wednesday 30th August. Schedule & Entry Form Invalid download ID. Save the date! St Cuthbert's Ride Sunday 24th September 2017. More details to follow. Start/Finish: near North Lyham, NE66 5RY. This is west of Belford, north of Chatton and east of Wooler. There will be signs. Start riding any time betweem 9.30am and 1pm. The off-road route takes you across privately owned grassland and stubbles, over hill and heather, along woodland tracks past St. Cuthbert's Cave. Lots of small obstacles to jump. Family discount: if there are more than 2 entrants (genuinely) from one family (cousins and aunts don't count!) then the children may come for £8 (this is only for entries received by 20th September). Cheques make payable to 'St Cuthbert's Ride'. Chillingham Wild Cattle - guest Speaker Ellie Waddington - Ellie was appointed the first female warden in 2015 to ensure the survival of this rare breed of wild cattle. 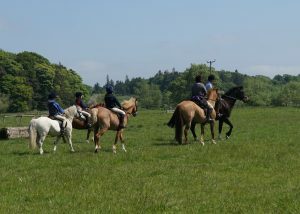 Point-to-Point racing takes place because an army of volunteers attend on the day to assist in so many different ways. A successful meeting depends entirely on attendance and sponsorship. Anyone wishing to be involved or interested in sponsorship should contact Simon Orpwood on 01890 850266/e-mail s.orpwood@farmline.com. A vast majority of hunts throughout the country hold annual point-to-point races which are major fund raising and sporting events. These races are usually held over a course of 3 miles with the horses jumping a minimum of 18 birch fences. 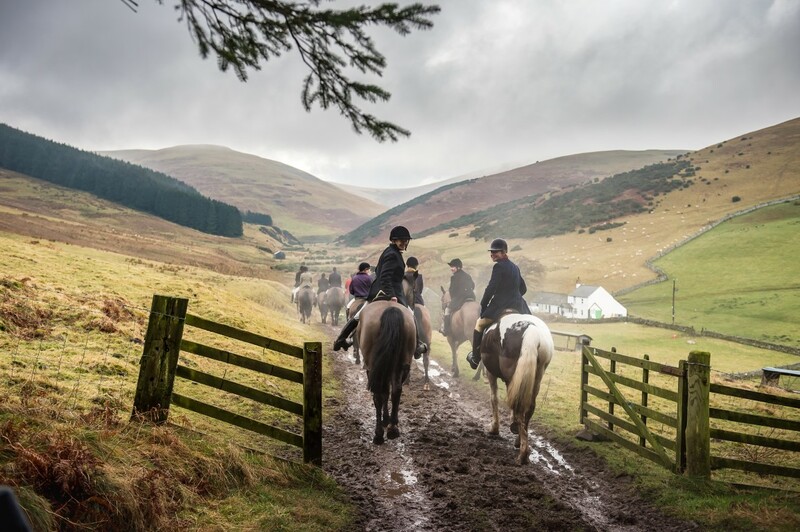 There can be up to 6 or 8 races on the day, run as amateur steeplechases where the horses are qualified to run through hunting a minimum of 5 days with any recognised pack of hounds. Point-to-pointing has its own Regulatory Authority with rules and conditions. HUNTER TRIAL & CLEAR ROUND, at Kimmerston starting at 9.30am on Sunday 8th April 2018. Download the Schedule & Entry Invalid download ID. - Downloads so far: Invalid download ID. Click here Terrier Show Advert to see more information about this event. This year the boys' tour will be performing Twelfth Night on the lawn (come rain or shine) here on the evening of 17 August. The Handlebards are a supremely professional outfit who give a gloriously informal rendition of Shakespeare's work in the great outdoors. It's a sort of bring-the-family-coats-and-a-picnic-for-half-time sort of evening. Tickets - available on the door or at https://www.tickettailor.com/events/hospicecarenorthnortumberland/157731 - Check the forecast first! Sunday 2nd September 2018 - North Northumberland Hunt Supporters’ Hunter Trial & Clear Round at Kimmerston near Milfield, Wooler. Classes for all ages from lead rein to adult, including Pairs classes. Rosettes 1st to 6thand trophies and plaques to the winners of the XC classes. Catering and loos on site. No dogs allowed. Entries must close Wednesday 29th August. Schedule & Entry Form can be downloaded Click to Download here. And Kimmerston Entries Click to Download here. Start/Finish: Near South Hazelrigg NE66. This is west of Belford and North of Chatton and east of Wooler. There will be signs. The off-road route takes you across privately owned grassland and stubbles, over hill and heather and along woodland tracks past St. Cuthbert's Cave. Lots of small obstacles to jump. Cheques made payable to "St. Cuthbert's Ride"
The Radley College Beagles are meeting at Pawston on Friday 19th October at 10.30am. 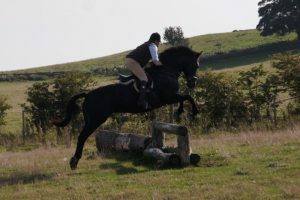 CVNNH Newcomers Day: Saturday 20th October 9.30am at Hethpool Showfield FREE to all newcomers to hunting. 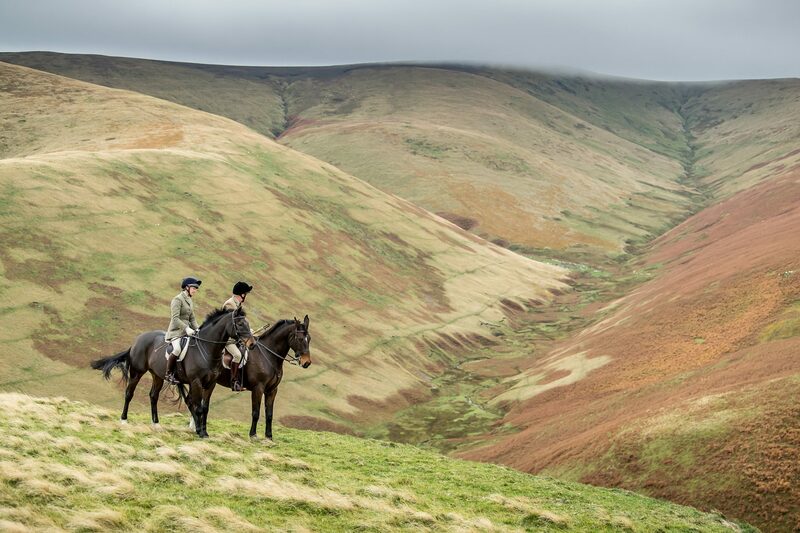 The Countryside Alliance’s annual Hunting Newcomers’ Week will this year take place from 15th – 21st October. 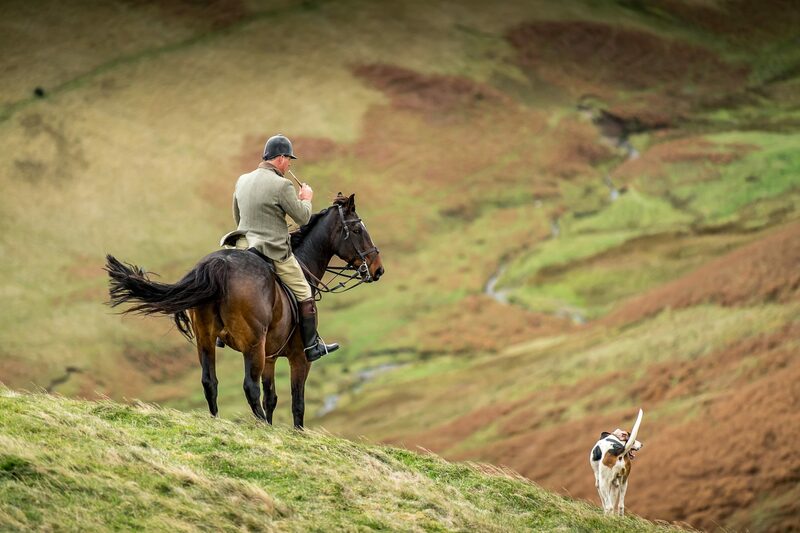 The aim of this week is to introduce as many new faces to the hunting field as possible and to encourage those that have never been hunting before to give it a try. 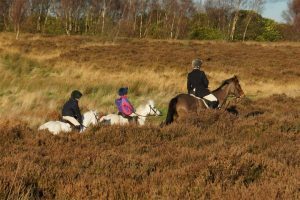 Hunts generally welcome newcomers throughout the year anyway, however it can be a daunting prospect, particularly if you haven’t been out before or have perhaps moved areas and had a break since you last went out. Joining forces with other like-minded people on a specific day can make it easier for those wanting to overcome any reservations they may have. As always we are inviting any registered packs – including foxhound, beagle, harrier, basset, draghound and bloodhound packs – to organise a specific meet, or to organise an activity such as a tour of the kennels during this designated week to give everybody an opportunity to get involved with their local pack. 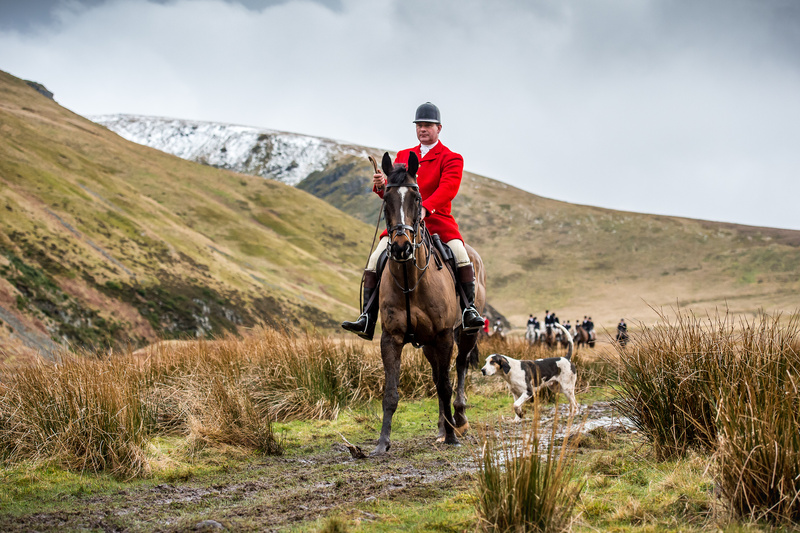 No special clothes or kit are required to be able to take part, however those thinking of trying hunting for the first time are encouraged to read the Countryside Alliance’s Newcomers’ Guide To Hunting which is available on PDF to download. 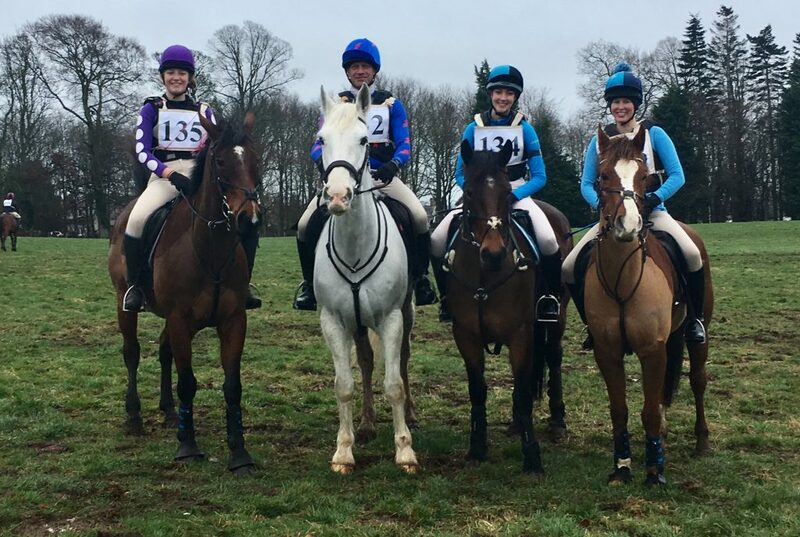 Hunts are invited to send us details of any newcomers’ meets or events being planned so we can advertise them in our Newcomers’ Events Listing on our website. Please contact Henrietta Rutgers athunting@countryside-alliance.org for any supporting literature or for further information about your local pack. HOORAY! The Hunt have been invited back to St. Gregory's: Kirk Newton Church for another Carols Evening on THURDAY 20th Dec at 6.30pm. but you can start practising your Burns dialect in the meantime. Following the success of the NNHSC Fun Quiz in November, our Carols Evening, the meets over the Christmas and New Year period, this friday's CVHSC Burn's supper and silent auction, please find some time to come along and support this fun event especially as our neighbouring hunts' teams will also be attending. James Dobie: Question Master and Andrew Taylor will keep the 'scores on the boards'. Supper at £15 per person will be served by the hotel's chef after the first round of questions. Menu: Shepherds Pie with seasonal vegetables or Macaroni Cheese, Garlic Bread and Salad, followed by an extensive cheese board with dates, grapes, celery and biscuits. The raffle will be drawn after the second round of questions. Please contact Hunt Secretary if you would like to book in your team of four. We will also be having a hip flask competition at the breakfast, entries taken on the day, the winner will be retain the bragging rites for a full year, and all the kudos that goes with it, so encouraging all to prepare favourite "special brews and concoctions” PS James will certainly have to up his game based on the usual contents of his flask! !